Like Australia, Canada has a burgeoning hip-hop scene that takes most of its cues from the 90s-era NYC scene. We've posted a jam by the excellent Shad before, and now we're highlighting his partner-in-crime Grand Analog. 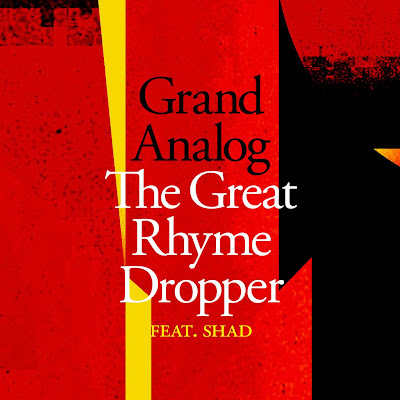 "The Great Rhyme Dropper" is all breakbeat, bass, and horn blasts with some top-notch conscious lyrics interlaced throughout. Eh?